Last weekend we had a work day down on the farm in preparation for our wedding. So much was accomplished! Lots of weed pulling and rock moving, tilling and trimming. One of the ‘weeds’ we pulled was a giant wild mint plant. a little over 3 foot tall. I took it home and transplanted it to a container but it was so obnoxiously tall that I trimmed it down to half its height. Then I had a bunch of mint leaves leftover. 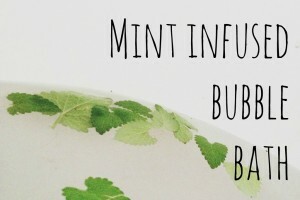 So I made some strawberry mint infused water and still had a ton left! 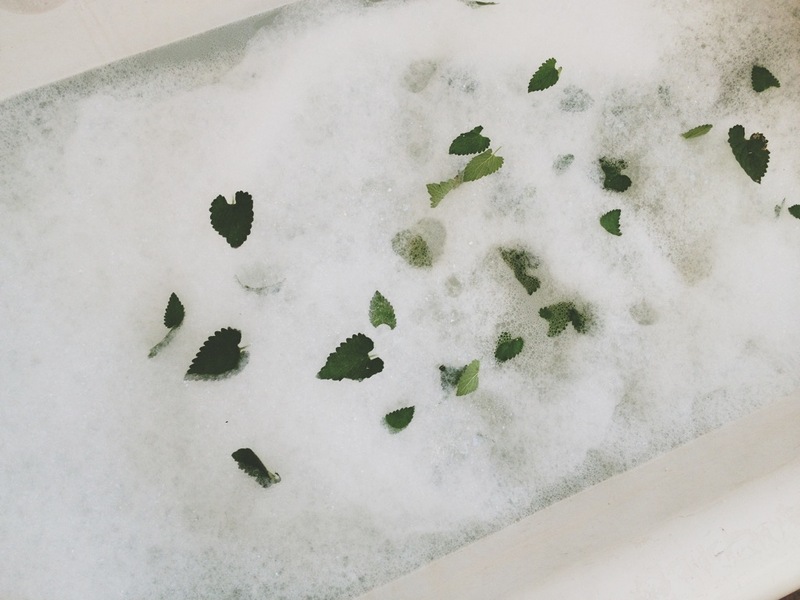 I went to take a bath and thought “why not put mint in my bath water?” So I did. The rest I just tied to a string and hung up in my kitchen for a nice little air freshener. Just pluck mint leaves from the stalk. Crinkle or tear the leaves to release the oils. Simple right? It was a relaxing bath for sure. Smelled great and I felt like I was at a spa, I’ve never been to a spa but this is what I imagine it would be like. The only funny thing about it was when I stood up I felt like Adam and Eve because leaves clung to me everywhere. I thought it was funny.